Skylark is the end cottage of four terraced holiday cottages at Ross Farm. A footpath from Ross runs across grassy dunes to the wonderful Ross Sands, where visitors can enjoy three miles of deserted beach with stunning views of Lindisfarne. 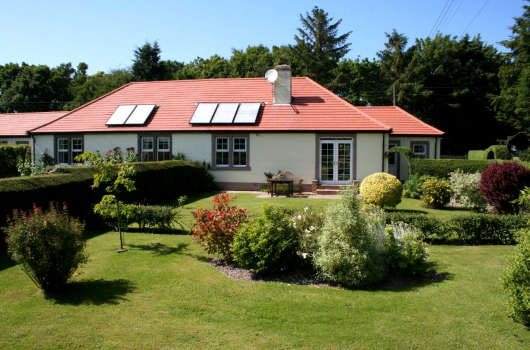 Skylark Cottage offers ideal self-catering holiday cottage accommodation for a family or group of four to six visiting Northumberland. 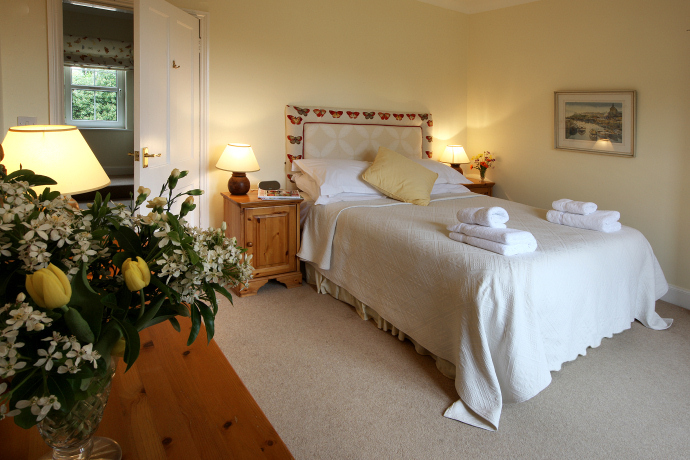 It has been awarded a 4 Stars Gold Self Catering grading by Visit England. The accommodation is on two levels. Free Wi-Fi is provided - just bring your own laptop. 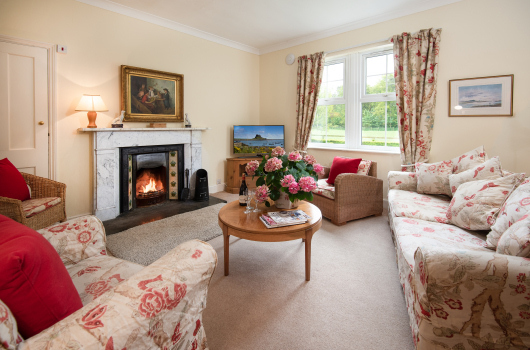 Comfortable and spacious south-facing sitting with Freeview television, DVD player and radio. 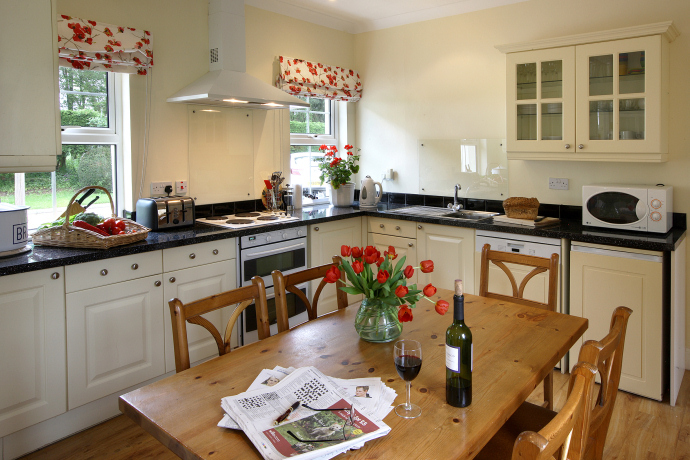 Kitchen with farmhouse dining table, fridge, freezer, dishwasher, double-oven / hob, microwave, and washing machine with tumble-drier. 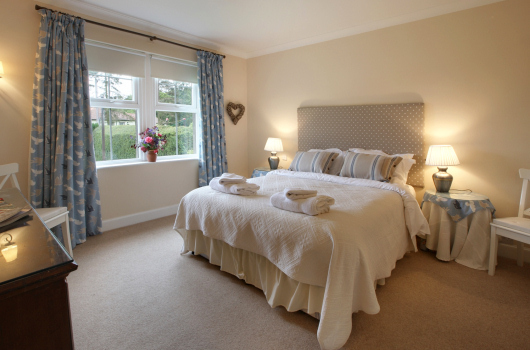 One double bedroom with television and king-size bed on the ground floor. One twin bedroom on the ground floor. Family bathroom with large walk-in shower on the ground floor. One twin bedroom with television on the upper floor. Bathroom with bath on the upper floor. The front door opens on to a south-facing private lawned garden surrounded by hedges. There are two parking spaces and a bike storage shed beside the cottage. Our prices and availability are always 100% accurate - if the dates you want are available, you can book on-line instantly. Bookings can also be made by telephone. Skylarks are very much at home on Ross Links. This minstrel of the sky, with its delightful warbling song continuing high into the air, often flys so high that it becomes a challenge to spot it. Keep up to date with news, special offers, late availability and cancellations by joining our mailing list.